w&c is ceramics for everyday use. inspired by the far west texas sky and earth, I blend porcelain with stoneware to give each piece a timeless desert feel. pieces are high fired in a heavy-reduction gas kiln, the outcome creates dark rust tones and brightly developed glazes that give each its own identity. all pieces are food safe and meant to be enjoyed through use - dishes for dinner gatherings, mugs for coffee shops, bud vases for a windowsill, etc. working with clay is like therapy. when we sit at the wheel to throw, we turn inward and become very focused on the piece at hand. it’s a sort of forced mindfulness I welcome in my everyday life. 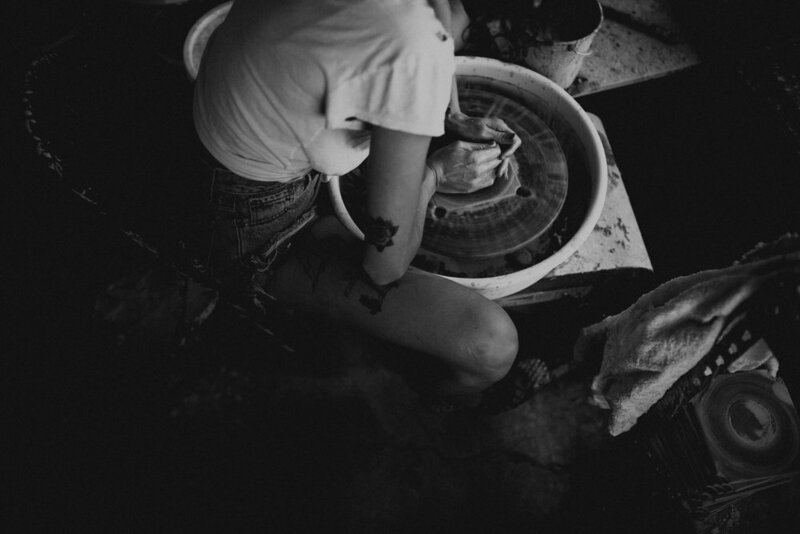 the creation process is extremely involved and equally as rewarding. I start with high-fire clay, stoneware and porcelain, then marble them together just a bit to give pieces a spiral touch. 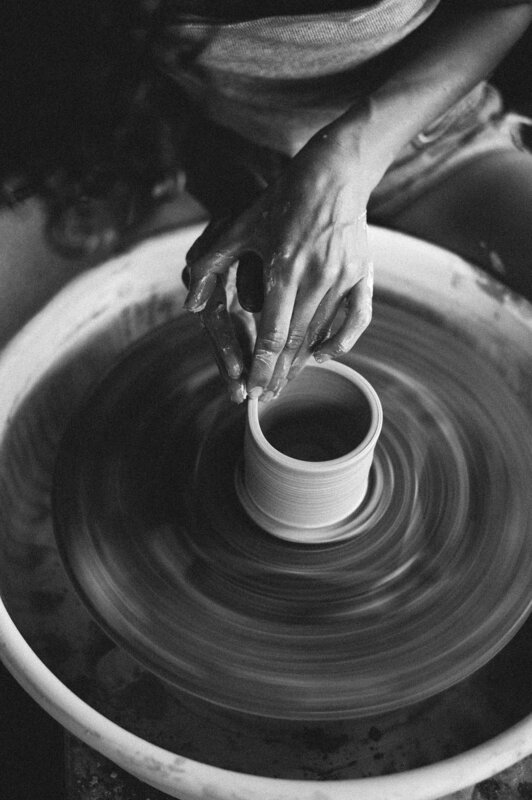 the clay is then "thrown" into shape on the wheel. 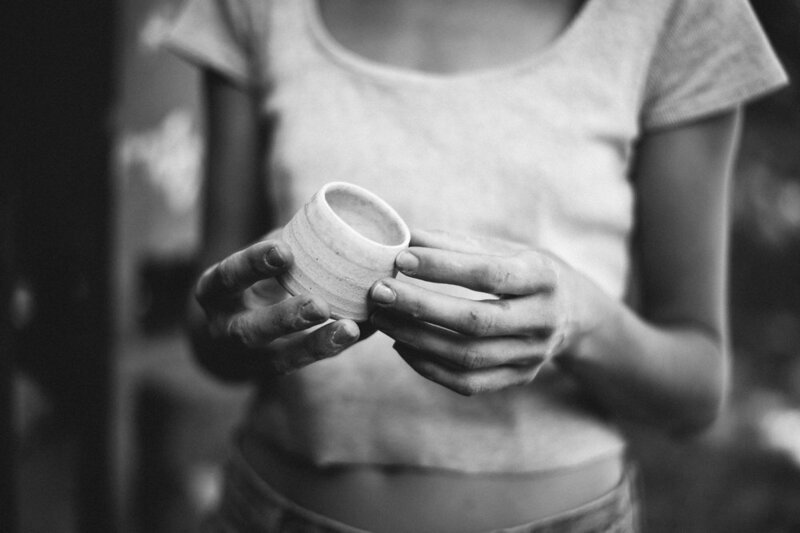 most pieces start as a simple cylinder, then take form from there - open it out to a bowl, cinch into a bottle, etc. once dried to "leather-hard," I then trim and clean the foot, stamp, and sand the edges. the piece dries to greenware, is dipped in glaze, and cooked up to over 2,000 degrees.